NEW YORK — As humanity hurtles through space and time toward the July 2017 release date of the film "Valerian and the City of a Thousand Planets," a new teaser trailer has arrived to build anticipation for the science fiction blockbuster. The film, based on an iconic French series of French comics, puts special agents Valerian and Laureline on a mission to defend Alpha, a megacity where species from across space converge. In the new trailer, the duo explores and fights its way through many of the movie universe's vivid locales. 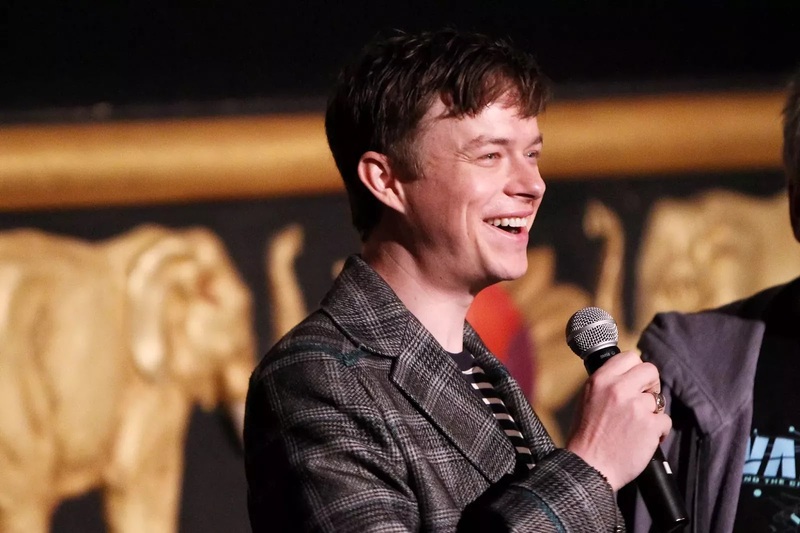 At a trailer event Monday (March 27), Dane DeHaan, who plays Valerian, said he was excited to finally see the new teaser in 3D. He had seen it only on his iPad before the big-screen event. "I don't think I've ever really done a movie quite like this," he told Space.com afterward. "This is definitely my first space opera." Many of the trailer's colorful scenes — fleeing a beast in a colorful desert, flying through the bridge-crossed stretches of an elaborate city and fleeing more beasts underwater, among others — were recorded using a green screen, so the film's director, Luc Besson, was on hand to talk the actor through the shots. Besson also directed "The Fifth Element," a film that shares the strange-sci-fi aesthetic on view in the trailer for the upcoming film. "This is the movie Luc's wanted to make his whole life, and I think he hasn't been able to because he didn't have the technology available," DeHaan said. "I think Luc's done an amazing job taking those comics and following the story to the point where he's honoring them, but also bringing them to life with his own vision." DeHaan hadn't read the comics prior to being cast in the film, but they were a constant companion during filming, the actor said. And as for DeHaan's favorite high-tech invention of the film? "I really love the skyjet — I like to call it the Jet Ski of the sky," he said. "It's the little ship that I get in in the trailer, and we use it to go into small spaces that we couldn't otherwise get into. I just think that would be a really fun thing to have." Luc Besson’s upcoming Valerian and the City of a Thousand Planets looks like it’s going to be one of the trippiest sci-fi movies to come around since, well, The Fifth Element. A new trailer for the film shows off new aliens and more over-the-top spectacle than is probably healthy for early morning viewing. Adapted from a beloved French graphic novel series, Valerian is a huge risk for Besson and film studio EuropaCorp. With a reported budget of $200 million, it’s one of the most expensive movies ever made in Europe. Besson’s said it’s the movie he’s wanted to make his entire life. That lifelong passion oozes out of every frame of the new trailer. We’ll get even more of it when the movie comes out this July. Europa has released the first full trailer for Luc Besson’s upcoming science fiction film, Valerian and the City of a Thousand Planets, showing off more of the movie’s wild sci-fi world. We got our first look at the film back in November with a dazzling teaser trailer that introduces the two main characters, Valerian (Dane DeHaan) and Laureline (Cara Delevingne). This new trailer shows off more of the story, revealing that the duo is sent to Alpha — the titular “City of a Thousand Planets” — to help save the city from an unknown threat that could destroy it. Like the teaser, the trailer portrays a film that looks very much like it’s in the same vein as Besson’s other big science fiction film, The Fifth Element, with tons of creatures, lush landscapes, and what looks like some incredible action sequences. The movie is based on a series of French graphic novels Valérian and Laureline by writer Pierre Christin and artist Jean-Claude Mézières, and was published between the 1960s and 2010. The comics are incredibly popular, and it’s a project that Besson has been working on since 2012. Valerian and the City of a Thousand Planets will hit theaters on July 21st, 2017. 0 Response to "Space Epic 'Valerian' Visits Colorful Worlds in New Trailer"